The greatest joy in the Word of God is experiencing the victorious “Christ in you the hope of glory.” Why? The answer is simple and for each Christian it is their confidence. “Being confident of this very thing that He which hath begun a good work in you will perform it until the day of Jesus Christ.” (Philippians 1:6) The experience of having the man, Christ Jesus, in you in the fullest sense has not always been possible on this earth. There were 4,000 years when men and women labored for the cause of the man Christ Jesus but never were able to enjoy the promise. They knew that God the Father had prepared that promise for the future but always had hope that the Christ would come in their time. The Lord declared unto Israel, “Sacrifice and offering thou didst not desire; mine ears hast thou opened: burnt offering and sin offering hast thou not required. 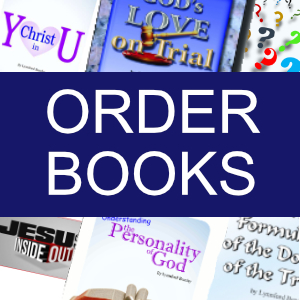 Then said I, Lo, I come: in the volume of the book it is written of me, I delight to do thy will, O my God: yea, thy law is within my heart.” (Psalm 40:6-8) These men and women could understand the deeper significance of the words of the Psalmist. This offering had been prepared in the eternal purposes to do the very work which God would do for fallen man. Yet they themselves did not receive the promise during their lifetimes. “And these all, having obtained a good report through faith, received not the promise, God having provided some better thing for us, that they without us should not be made perfect.” (Hebrews 11:39, 40) What was it that the disciples received that was better than what the prophets received? It was the Spirit of the victorious man, Christ Jesus, living in them. “And because ye are sons, God hath sent forth the Spirit of his Son into your hearts, crying, Abba, Father. Wherefore [or, this is how] thou art no more a servant, but a son; and if a son, then an heir of God through Christ.” (Galatians 4:6-7) By receiving the life-giving current of the man, Christ Jesus, we can experience what it means to be sons and daughters of God. “And we declare unto you glad tidings, how that the promise which was made unto the fathers, God hath fulfilled the same unto us their children, in that he hath raised up Jesus again; as it is also written in the second psalm, Thou art my Son, this day have I begotten thee.” (Acts 13:32, 33) After raising Jesus from the dead the long-awaited promise would be fulfilled. Now the One who overcame sin in our fallen human nature would live in us. “Unto you first God, having raised up his Son Jesus, sent him to bless you, in turning away every one of you from his iniquities.” (Acts 3:26) Inspiration declares that it is Jesus who is turning you away from your iniquities! That’s what a comforter does. Our human nature craves, even requires, a person who has experienced the same hardships to help us with our problems. It might be sickness, discouragement, or the loss of a loved one but whatever the problem is, the greatest comfort is found in someone who has experienced the same trials we are going through. “This Jesus hath God raised up, whereof we all are witnesses. 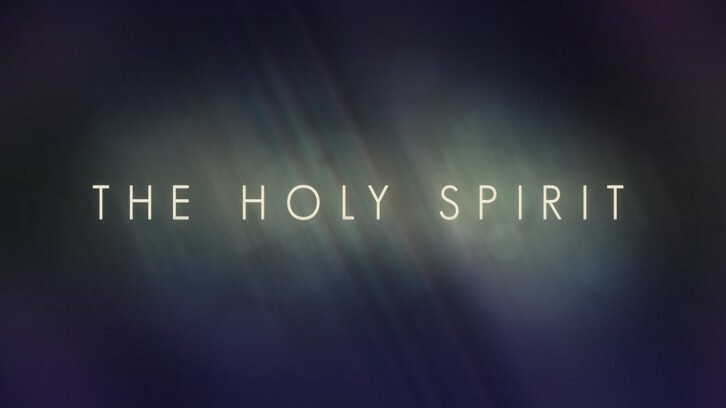 Therefore being by the right hand of God exalted, and having received of the Father the promise of the Holy Ghost, he hath shed forth this, which ye now see and hear.” (Acts 2:32, 33) Often I have wondered why the holy Spirit has more emphasis in the New Testament than in the Old? The answer is found in the Word of God. We can see clearly that Christ did not come in the form He had in heaven. He came in another form, the form of a man, yet He was still the same person. Jesus makes it abundantly clear to the believer that he or she may rest in the fact that our Comforter is one who has experienced humanity and was victorious in the fallen nature. In John 14:20 He says it will be He and His Father in us. In verse 21, He says that He will manifest Himself to us. When one of His disciples questioned how this could be, Jesus patiently answered, “If a man love me, he will keep my words: and my Father will love him, and we will come unto him, and make our abode with him.” (John 14:23) This was being fulfilled when the Father gave of His Spirit through His Son at Pentecost. Christ has been sent to us as our teacher, “But be not ye called Rabbi: for one is your Master [Greek: kathegetes—teacher], even Christ; and all ye are brethren.… Neither be ye called masters [kathegetes]: for one is your Master [kathegetes], even Christ.” (Matthew 23:8-10) Jesus tells us that He is our one teacher. Beloved, there is only One who has died the death and has been raised from that death to turn us away from our iniquities. His name is Jesus. “But when the Comforter is come, whom I will send unto you from the Father, even the Spirit of truth, which proceedeth from the Father, he shall testify of me.” (John 15:26) Compare this verse to Acts 2:33. “Therefore being by the right hand of God exalted, and having received of the Father the promise of the Holy Ghost, he hath shed forth this, which ye now see and hear.” In this verse Christ rightly takes the credit for shedding or sending the holy Spirit which originally proceeds from God the Father. Jesus spoke of the holy Spirit in this way: “And when he is come, he will reprove the world of sin, and of righteousness, and of judgment: Of sin, because they believe not on me; Of righteousness, because I go to my Father, and ye see me no more; Of judgment, because the prince of this world is judged. I have yet many things to say unto you, but ye cannot bear them now.” (John 16:10-12) The question would be, when will He reprove the world of sin, of righteousness, of judgment, and say the things that the disciples could not bear at that time? After His death Jesus said, “All power [Greek: exousia – authority] is given unto me in heaven and in earth.” (Matthew 28:18) Who reproves the sinner? It is Jesus: “If I had not come and spoken unto them, they had not had sin: but now they have no cloke for their sin.” (John 15:22) “Unto you first God, having raised up his Son Jesus, sent him to bless you, in turning away every one of you from his iniquities.” (Acts 3:26) Also read John 3:18-21. Much talk has been given to the idea that the holy Spirit is a third being of a Trinity and that He is so humble He wouldn’t even speak of himself. The Spirit of truth has the identical character of the Son of God for it is the inner man of Jesus. When He comes as the Comforter He will not speak of Himself. In 1 John 2:1, parakletos was translated into the English word “advocate.” “My little children, these things write I unto you, that ye sin not. And if any man sin, we have an advocate [parakletos – comforter] with the Father, Jesus Christ the righteous.” (1 John 2:1) The writer of the Gospel of John was the same writer of the epistle of 1 John. He uses the same word to express two similar thoughts. The concept of “advocate” as given in 1 John and the concept of the “Comforter” as recorded in John are therefore synonymous. The Bible teaches plainly that the Son of God is our parakletos, or Comforter. First Corinthians 1:30 says, “But of him are ye in Christ Jesus, who of God is made unto us wisdom, and righteousness, and sanctification, and redemption.” It was Christ who discussed the creation of man together with the Father. It was Christ who formed us with His hands. It was Christ who placed enmity between the church and the spirit of Satan. He spoke with Abraham, Noah, and Moses; led the Children of Israel through the Red Sea, the Jordan, and the captivity of Babylon. It was Jesus who was born of a woman, grew in wisdom and stature, and in favor with God and man. Christ led the disciples for three and a half years. Then He told His disciples that though He lived with them He would go away so He could live inthem. Satan desires that the whole world should worship him instead of Christ. Beloved, false concepts of God such as the doctrine of the Trinity will prevent you from understanding the beautiful truth that the Son of the living God is your Comforter. In fact, these false views pave the way for the acceptance of the spirit of Satan in place of the Spirit of the Lord. Beloved, I pray that the Lord Jesus will bless you and that you may receive Him as your Comforter.